Wiffle ball at the Cruiser Club was one of my favorite activities growing up in Lake Mohawk. I remember arguments over corked bats (stuffed with wet newspaper), and the horror of a foul ball that meant we couldn’t play anymore. Every at bat was taking place in the bottom of the 9th, with two outs and the bases loaded, during game 7 of the World Series. Worst case scenario was to strike out, go grab some mozzarella sticks, and jump in the pool. Not that bad really. What was once The Cruiser Club has now been reborn and rebranded as The LakeMohawk Pool. The pool hosts movie nights, live music, wine tastings, and several BBQ during the course of the summer. Seasonal and special events include World Cup match broadcasts, and an end of the season Labor Day party. There’s a separate kiddie pool, mini golf course, and a few arcade games at the snack shack for out of the water entertainment. 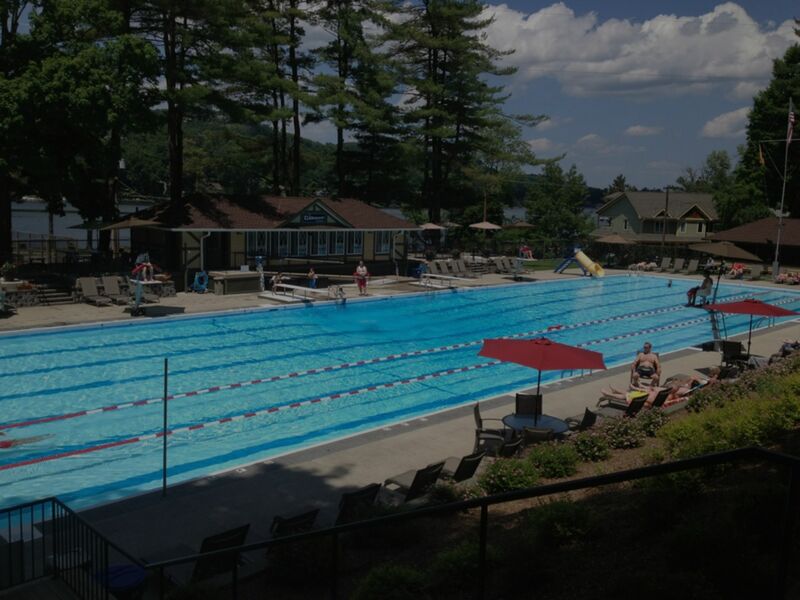 For more competitive swimmers and athletes the Lake Mohawk Pool is host to a swim team and long course training. Inquire at lakemohawkpool.com for more info, or stay up to date with everything that’s happening at the pool by liking them on Facebook. Membership is open to everyone, there’s no need to be a member of the Lake – everyone from the local area is welcome to join. The season runs from Jun 21 through Labor Day.